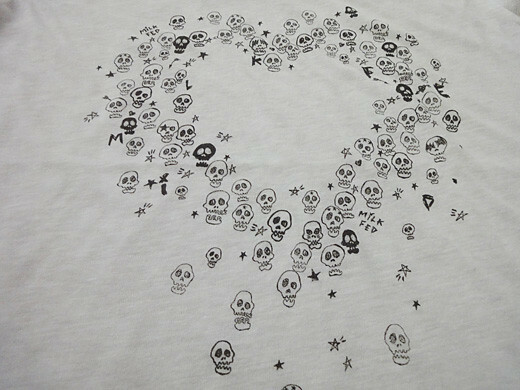 I got a heart skull printed T-shirt from Milkfed. 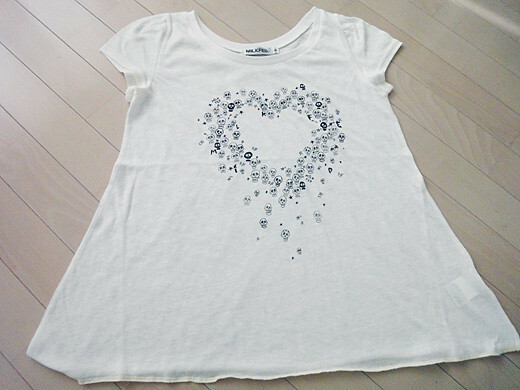 A lot of like handwritten skulls are formed a big heart in front of T-shirt. 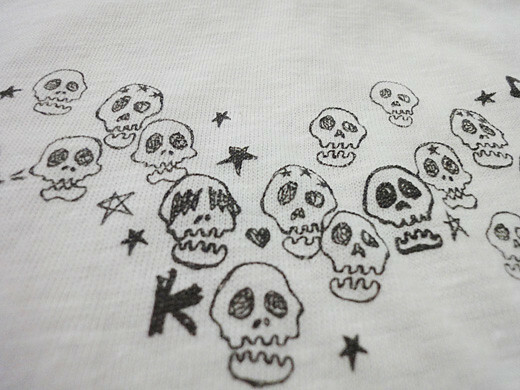 As you can see the details of the skulls, some skulls make up like ‘KISS’. It is very fun to see them a lot. Also, I love the T-shirt with an A-line shape.